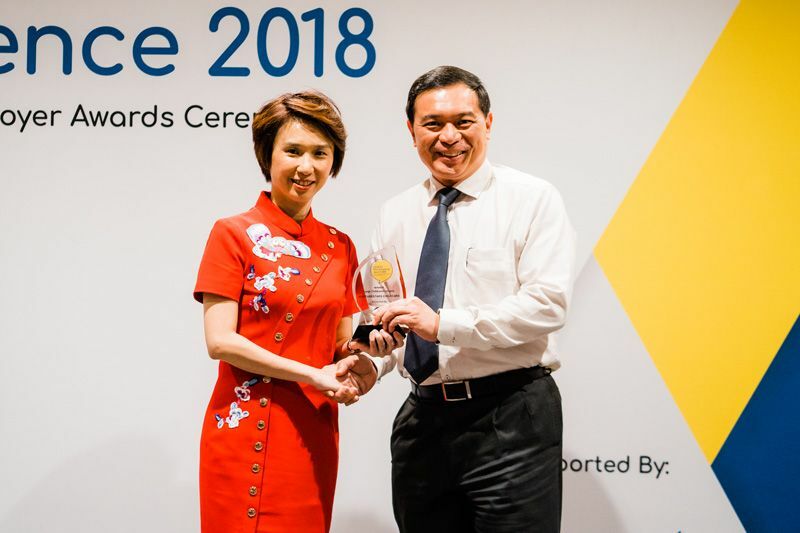 NurtureStars Preschool, which is jointly managed by Kinderland Educare Services Pte Ltd and the Singapore Armed Forces Reservists Association (SAFRA), was recently named Best Employer 2018. An award for the Large Childcare Category by the Association of Early Childhood and Training Services (ASSETS). 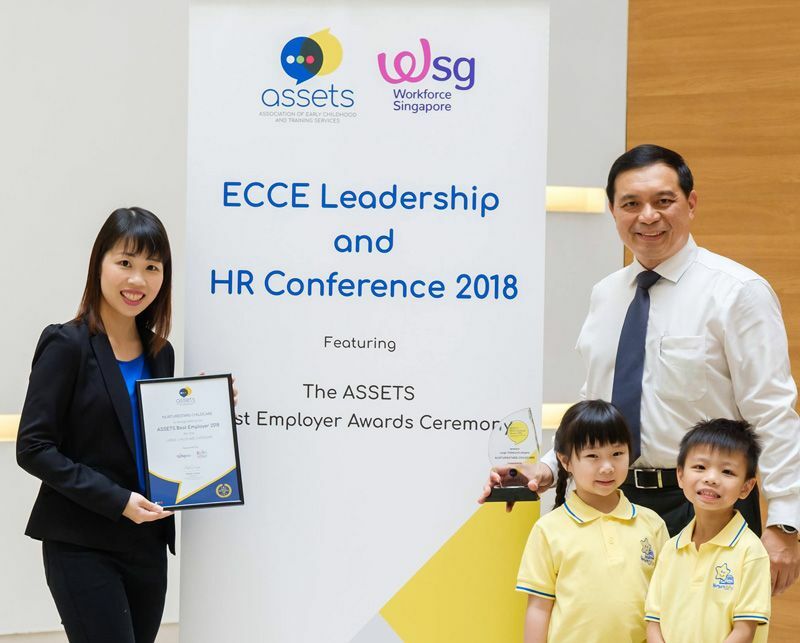 It was one of three childcare operators selected to receive the award, which was presented on 28 September 2018 at the ECCE Leadership & HR Conference 2018 organised by Workforce Singapore. 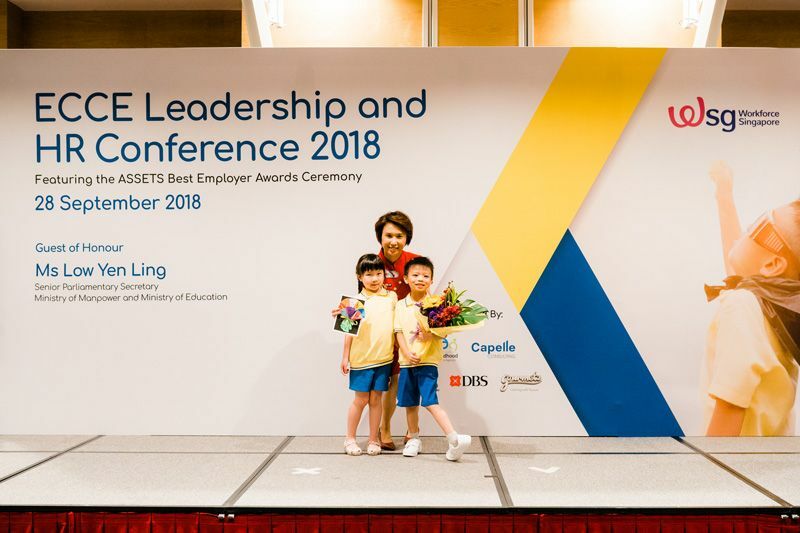 The ASSETS Best Employer Award for Category A childcare operator with 50 employees or more was presented to NurtureStars at the Conference by Ms Low Yen Ling, Senior Parliamentary Secretary of the Ministry of Manpower and Ministry of Environment. It was received by LTC (Rtd) Mr Ho Lye Sum, Chairman, Joint Management Committee for the NurtureStars centres located in six SAFRA Clubs. There were two other categories of the award: Category B for a centre with fewer than 50 employees and Category C for a kindergarten. Operational Excellence (30%), and Service Excellence (20%). ASSETS said that its panel of judges “were impressed, through the interviews, by the culture, values of respect, integrity, and the open communication with staff to build trust. These were evident in speech and in practice”. “While as employers you are conscious that pay matching is not always feasible, you have found other ways to engage your people, with heart and sincerity. We put in place leaders who also reflect your values and ensuring that your staff feel supported and that their concerns are heard. 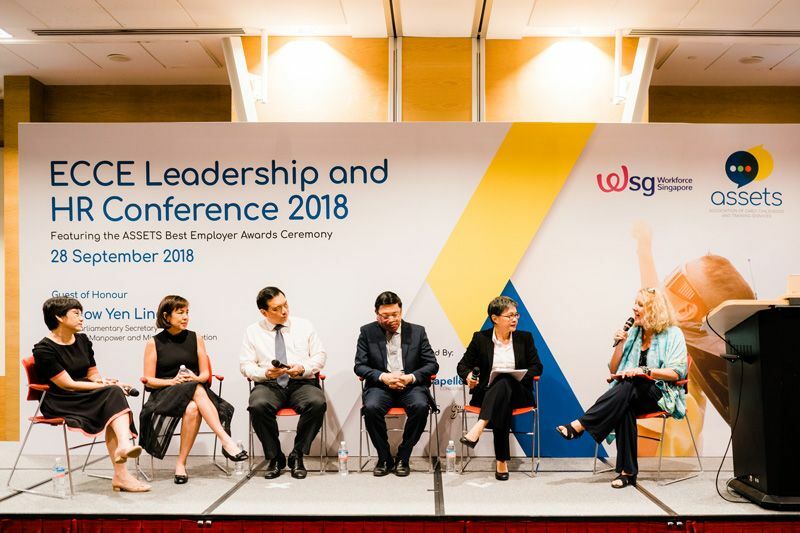 They noted that there was an effort by HR and the leadership, such as through the project JOY implementation, to take action in response to the staff surveys, acting on some of the staff suggestions and having it communicated with staff so they know their views are considered,” it added. ASSETS noted that after its second round of survey it found that the implementation had “in some ways helped improve retention and commitment by staff to stay with your centre”. NurtureStars children presenting a token of appreciation to Ms Low Yen Ling. A panel discussion on HR practices among the peers and award winners. A group photo with our NurtureStars’ Principal and JMC Chairman, Mr Ho Lye Sum at the end of the event.